Sports fans know all too well that it’s hard to trust anyone. Just when you fall in love with a player he gets traded. Just when you get attached to your team they hold a fire sale. Billionaire owners squabble with millionaire players and the NHL even cancels half the season regardless of the impact on fans, employees or business that depend on the games for survival. This month we learned that Lance doped and Te’o was duped. While Mantai’s fans felt mostly mystified, Lance’s story stirred up feelings of anger and betrayal. Both are also good examples of the difference between crisis communication and reputation management. A crisis is immediate. It needs an immediate response. Penn State, Newtown, Aurora, BP, and Hurricane Sandy make headlines, but everyday, crisis communications pros are managing serious situations at banks, hospitals, schools or businesses that call for a rapid response. If a crisis plan is in place, the organization should be ready to handle nearly any situation confidently and quickly. The crisis team follows the plan, communicates clearly to stakeholders, minimizes the damage, restores public safety and gets things under control as soon as possible. Reputation management is different. Solid reputations are built over long periods of time but they can be damaged in an instant. Once damaged, repairing them is a long, difficult process. It takes time to rebuild trust and restore credibility. It can be done, but it’s not easy. 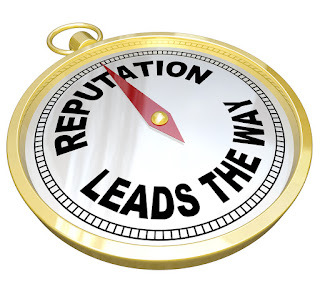 Whether the reputation in question is personal or corporate, the process is the same. Own up to the mistake. Respond sincerely and honestly. Take steps to restore public trust. Be committed to change. Give stakeholders a reason to give you a second chance. As we have seen many times recently, public sentiment can turn quickly. Yesterday’s hero is today’s demon. Attacks can get personal and the damage can linger for weeks or months. Repairing the damage can take years. Can Te’o repair his reputation? Probably. Can Lance? Maybe. The media can be harsh, but public can be forgiving if someone is sincerely trying to make amends. We’ve seen it with Kobe Bryant, Tiger Woods, Bill Clinton and others. Pushkin PR and other reputation management pros help clients understand that nothing is more valuable than their reputation. We help clients manage a crisis but we also help them develop a long-term plan to enhance, protect and if necessary, to repair a damaged reputation. Whether your business involves herding cats or cattle, you can be sure that the value of your brand depends on the strength of your reputation. That’s a lesson that we hope you don’t have to learn the hard way. Good tips, thanks for sharing. I think the real takeaway here is that every situation is different. An individual may have personal reasons to want to improve their google results when someone searches their name. Small to medium sized businesses have customers to gain or lose. Brands have an entirely different (and more complex) reason to invest in ORM. In any case, there is the right way to go about it, through content and white hat SEO best practices. thanks!